Saturday, September 15, 2018 – 7:30 p.m. 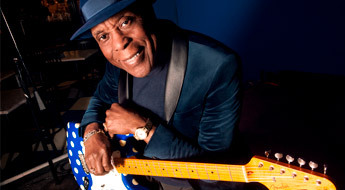 Buddy Guy is one of the most influential and skilled blues guitarists of all time. A member of the Rock and Roll Hall of Fame and ranked No. 23 on Billboard’s top 100 guitarists of all-time list, Guy has influenced musical titans including Jimi Hendrix, Keith Richards and Eric Clapton. Don’t miss this amazing show!